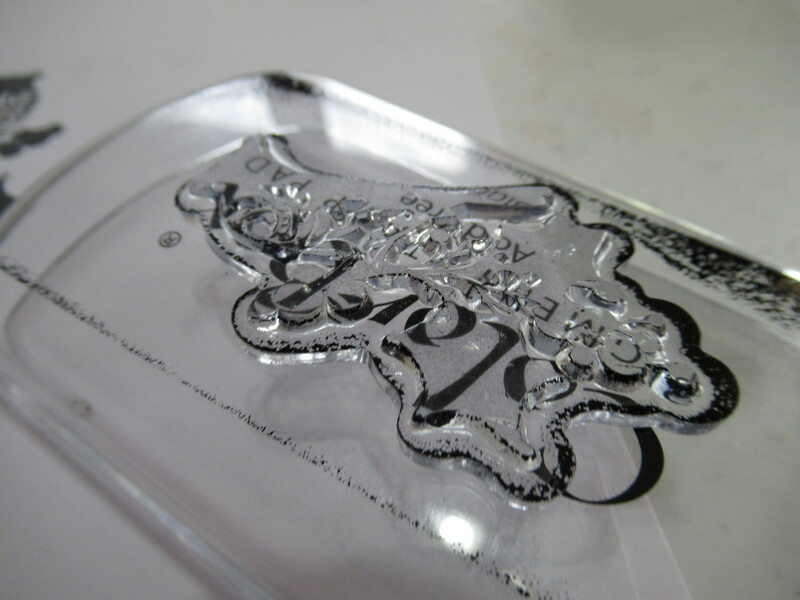 I have recently become interested in trying more craft type creative outlets, something other than beads and sequins. I know, surprised me too, but I got to watching some you tube videos and it got me hooked. 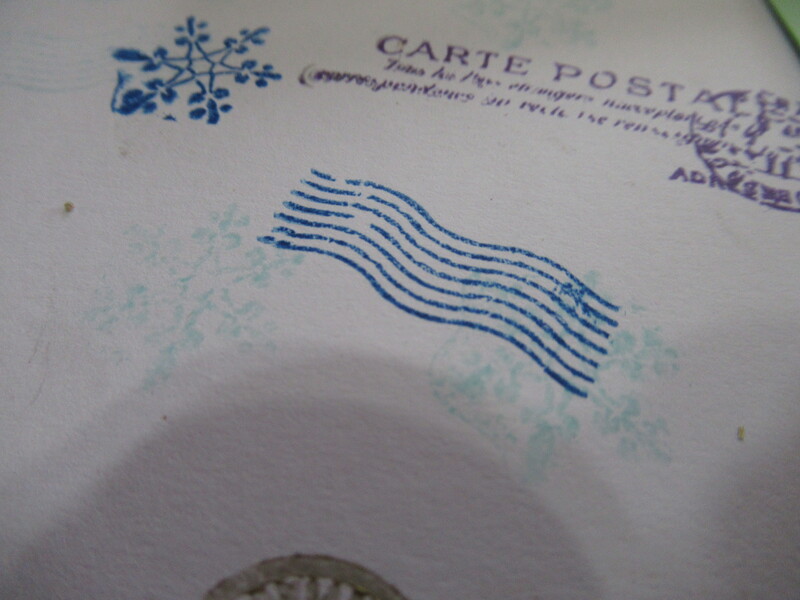 I already had a good amount of stamps, mostly holiday, but a lot of non holiday too. 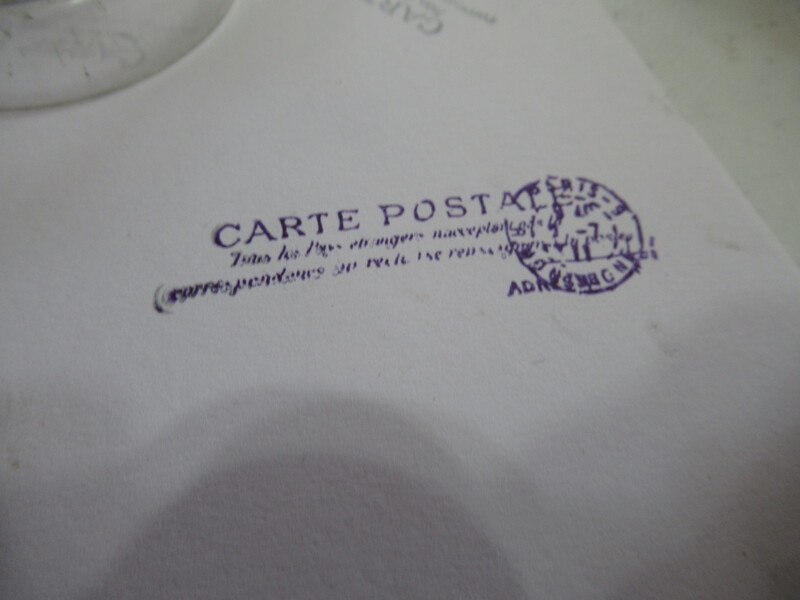 I have made gift cards over the years , some of my older stamps being in the 25 year old range. 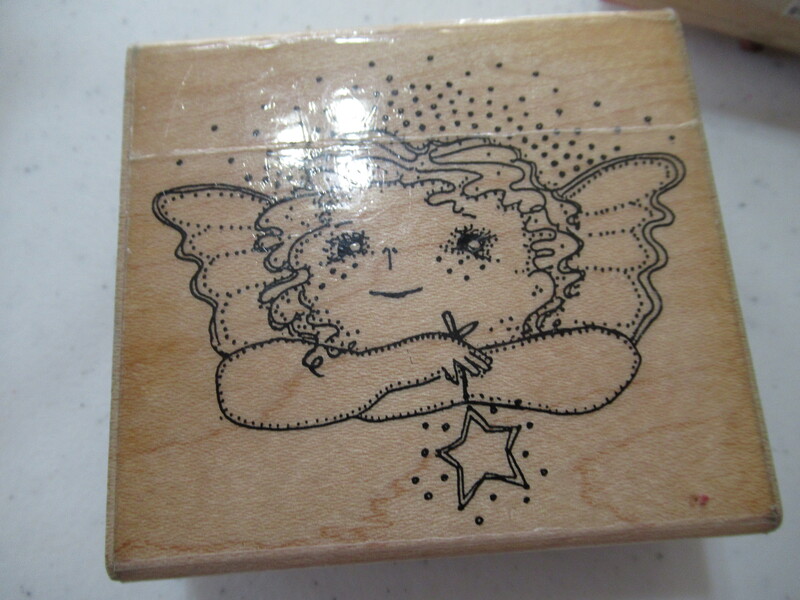 My first one is either an angel or fairy, not sure which, but I made so many small gift cards with her on them, sometimes colored in with markers !! 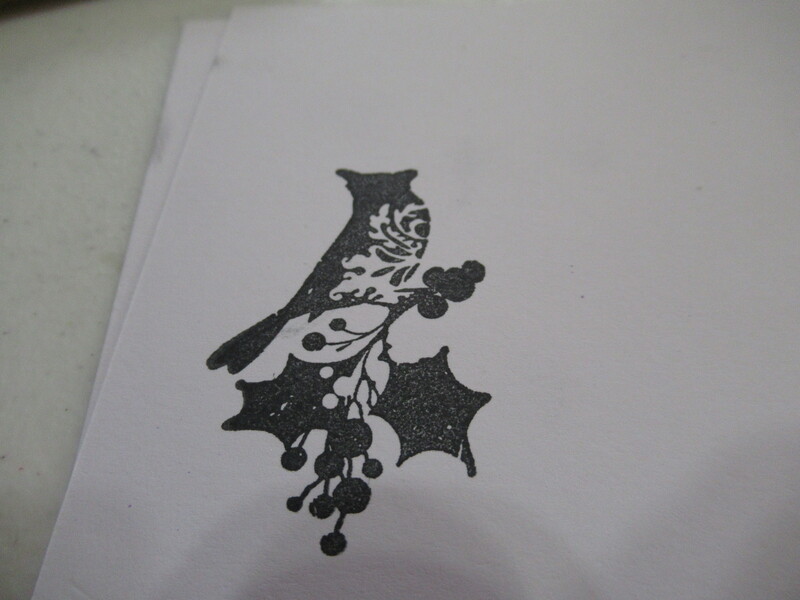 I also have one stamp I made in high school from linoleum, a frog. 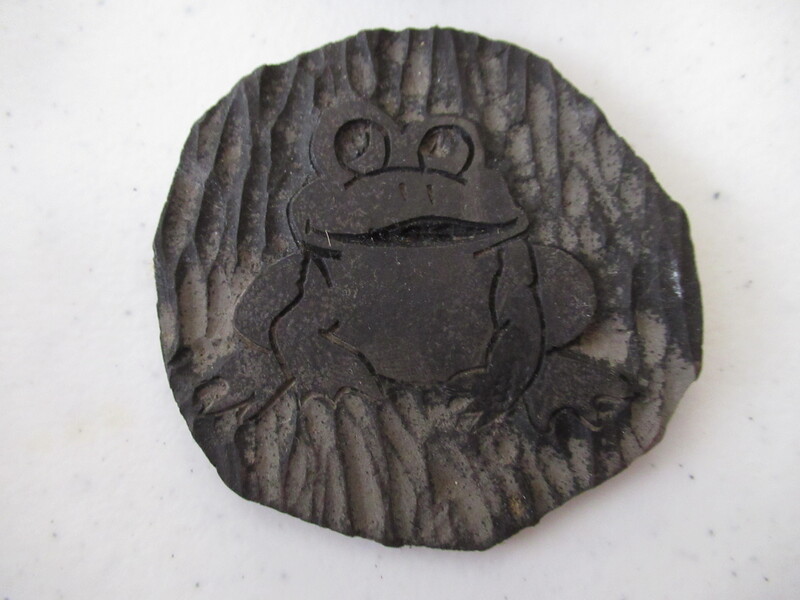 I would love to do that again, it was fun, and I had made more, but only the frog stayed with me somehow !!! He is over 40 years old !!! 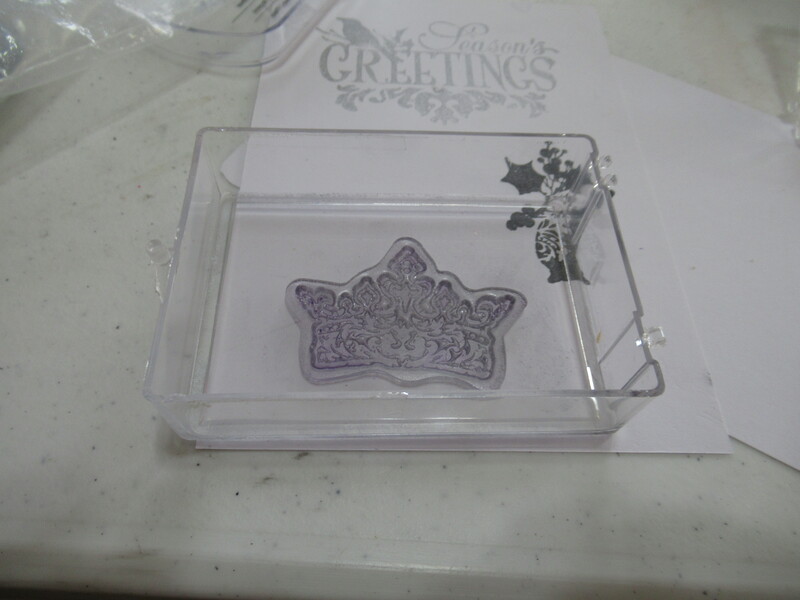 I will do a stamp with him next time I have my stamps and pads out. 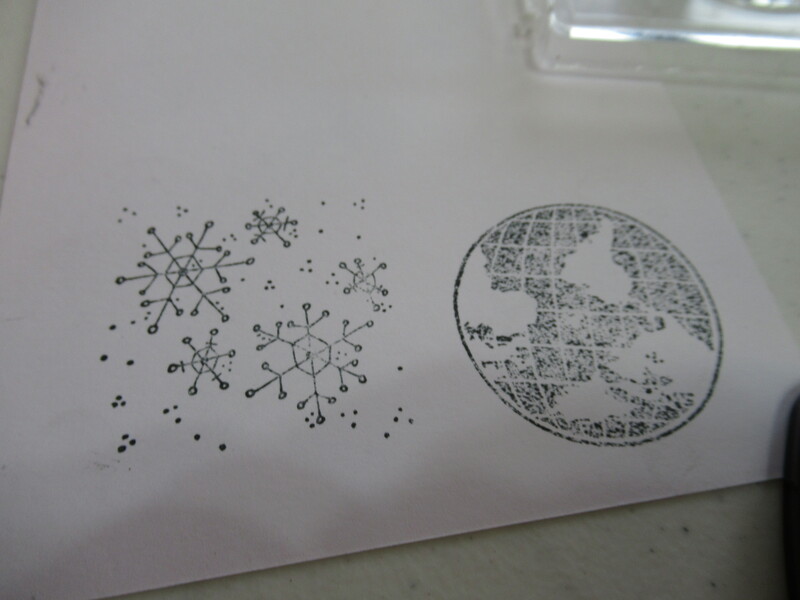 So, while watching all the amazing you tube creators I became aware of some clear stamps that had amazing detail. I searched them out and found some and picked out four sets and ordered them from Amazon and Etsy. 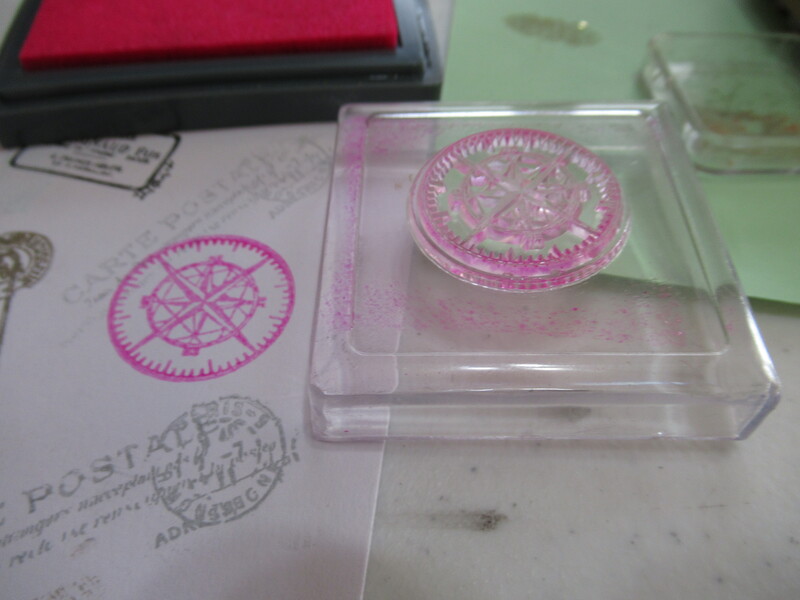 I put them in my stamp box and it has been a few weeks. 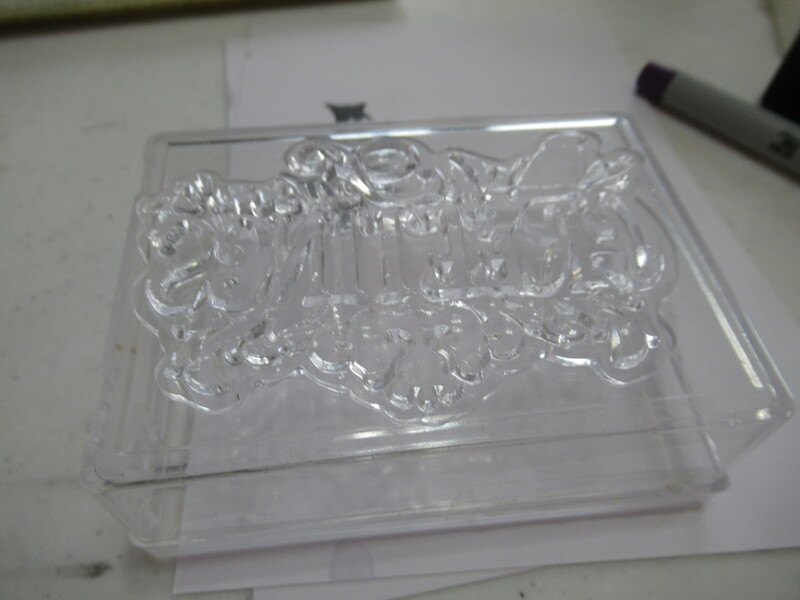 I got them out and did not know to use them, started to look around and found out you need to buy acrylic blocks to stick them too. 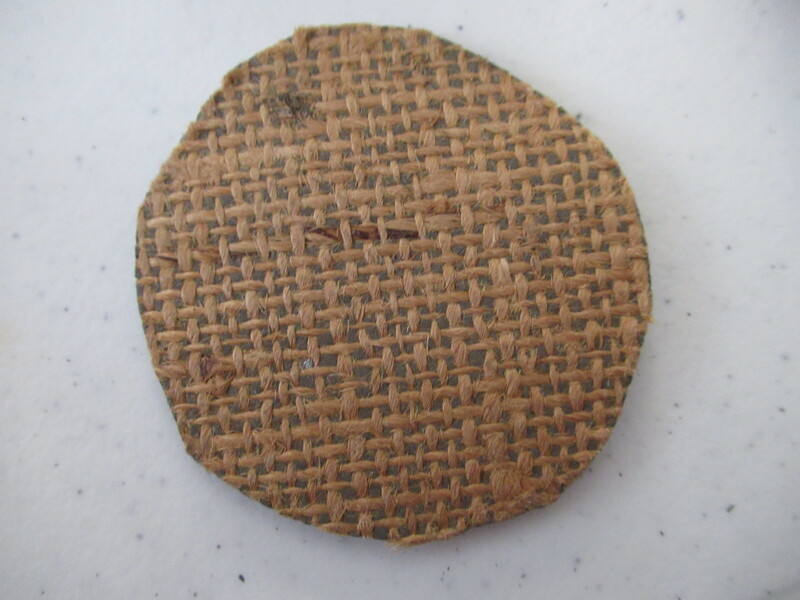 I started looking further and found that people were using all kinds of found items for their stamp bases. 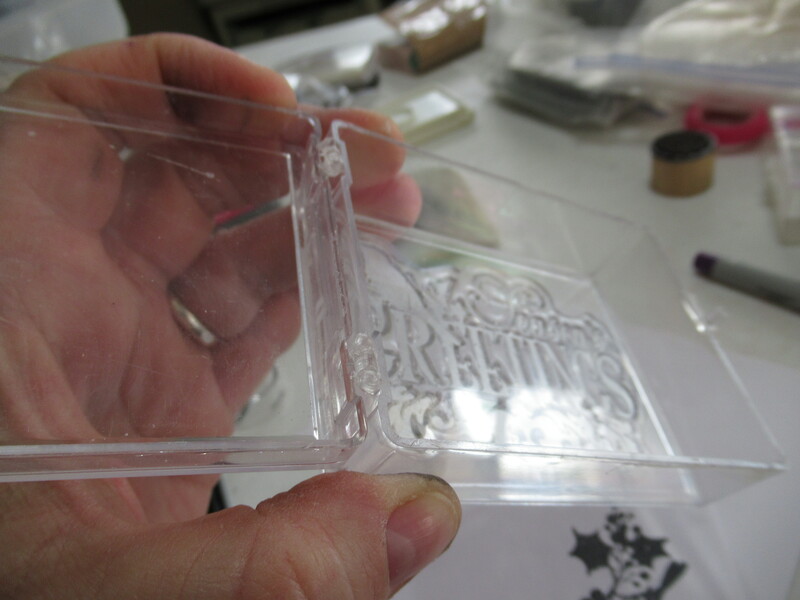 Being the craft hoarder that I am, I opened my drawer for small boxes and found all kinds of plastic boxes in every size and shape. Bingo !! I had to try them out now !!! 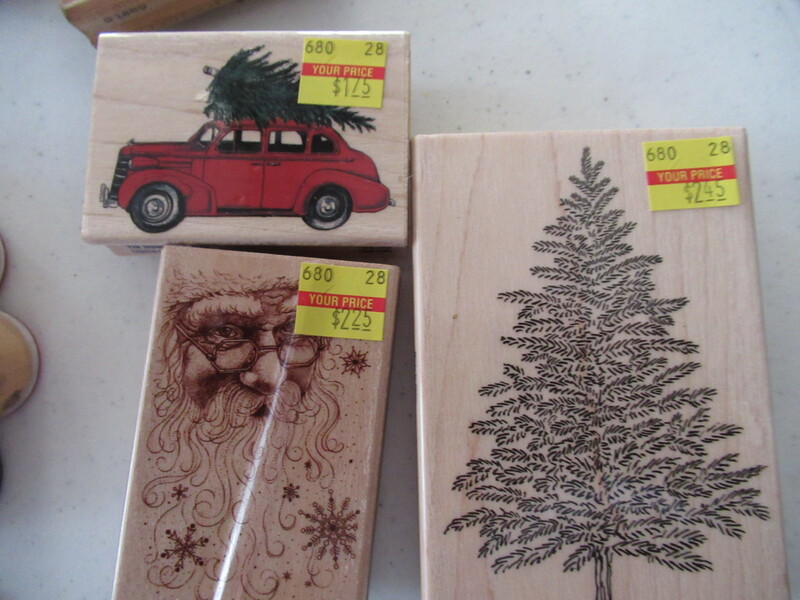 I just got the top three stamps at Hobby Lobby a few days ago, almost every stamp in the store was 75 percent off. I picked up a few in the clearance section, when I saw the main stamp isle was marked down too, I just walked away, lol !! 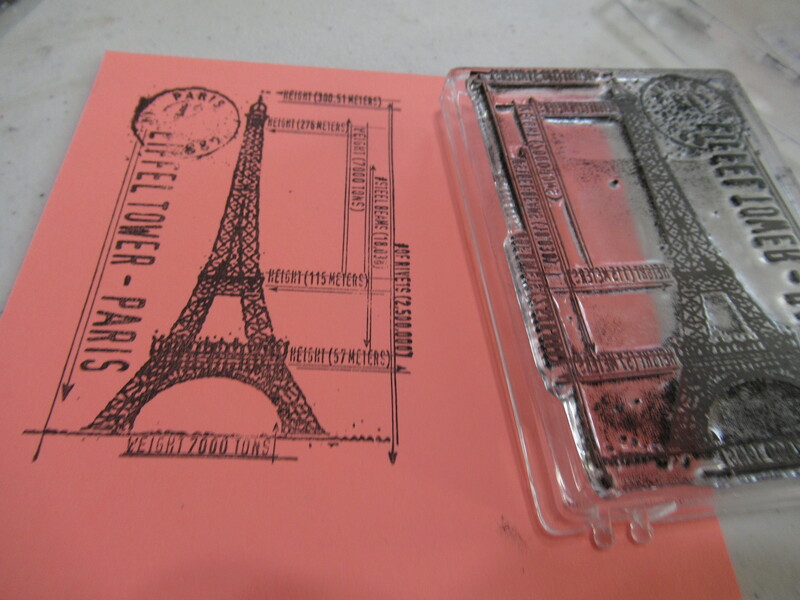 I have a cookie cutter with an old truck and tree so my daughter told me I should get this stamp too !! I loved it. The tre is so pretty and Santa is really nice !!! 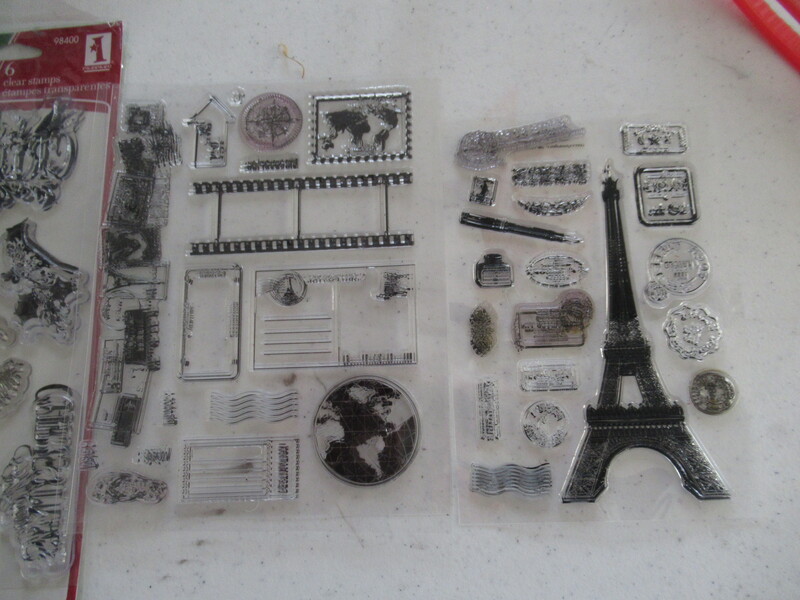 I absolutely love all the tiny detailed stamps in these sets, so much fun !!! 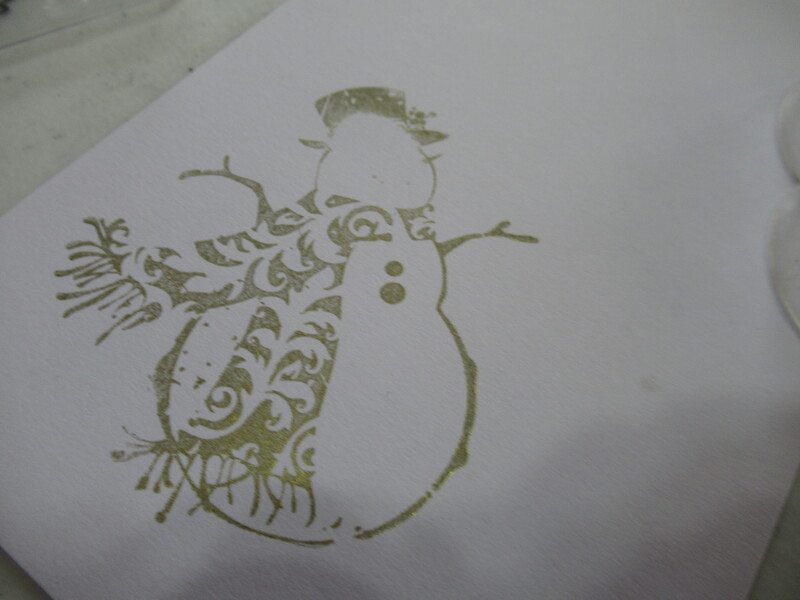 so, I got out my boxes and matched up stamps to boxes and started testing the ink , so much fun !!!! They worked so well, I was thrilled. 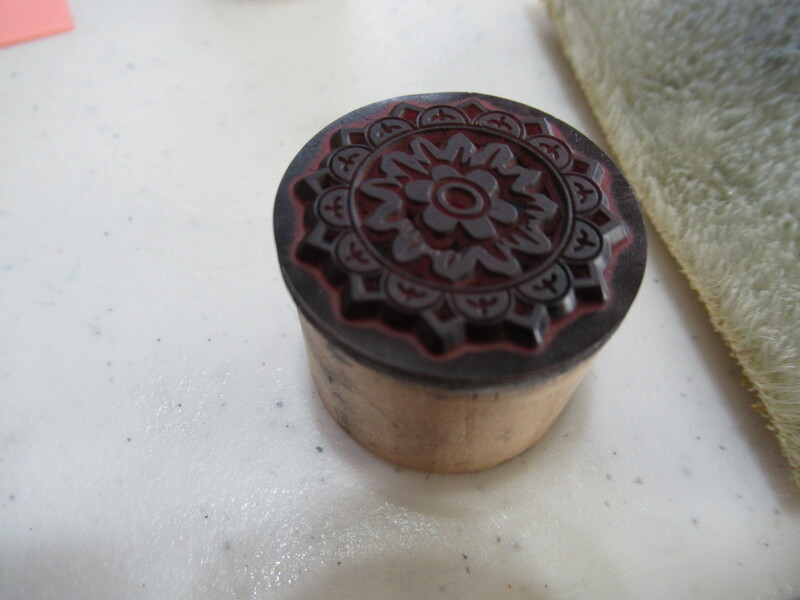 I had to make sure I used the top as it is not as deep and easier to put pressure on the entire stamp. I had a few come out light in areas, but it just took a bit of practice to make them come out well !!! 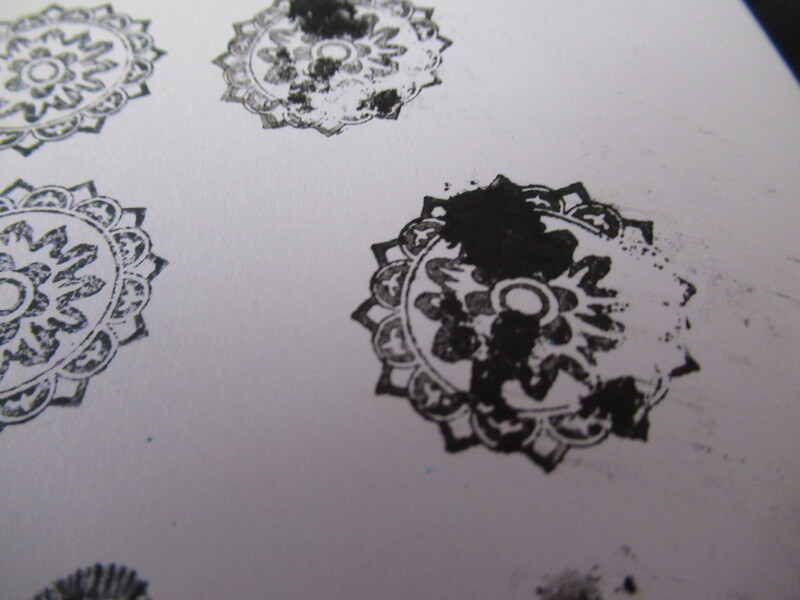 I decided to test out all my ink pads, some are pretty old and some are newer and many in between. I have way too many and was shocked only two were bad. 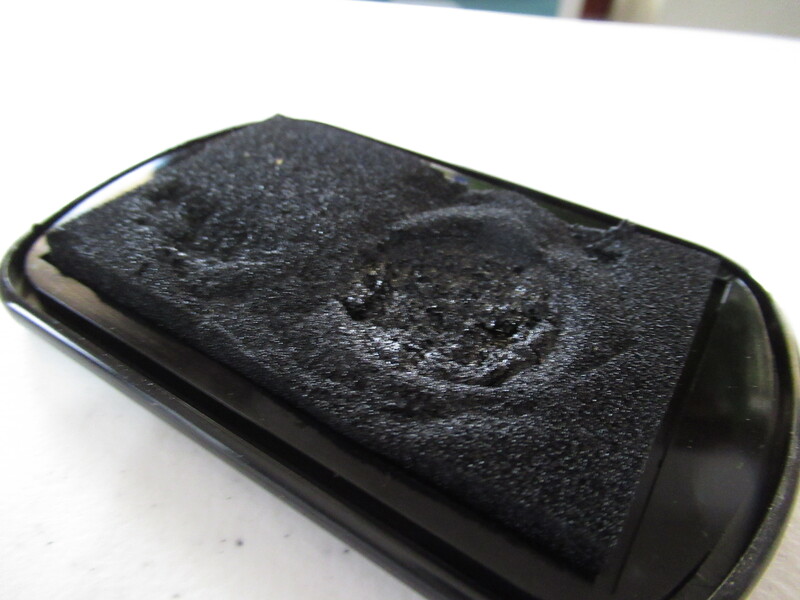 A w hite one was dried out and a black one squished when I put normal pressure on it, big surprise and a bit of a mess too !!! Not pretty at all !!! 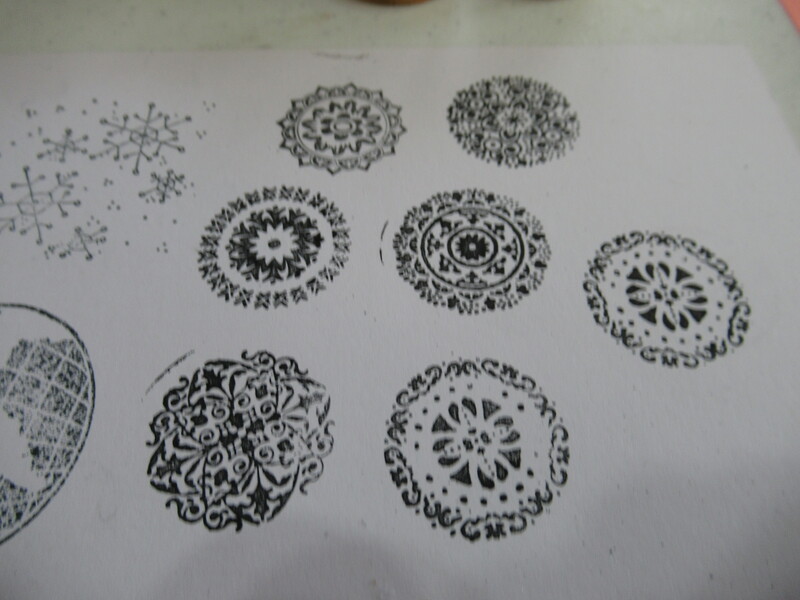 I had recently bought this set of six round stamps too, just love them !! 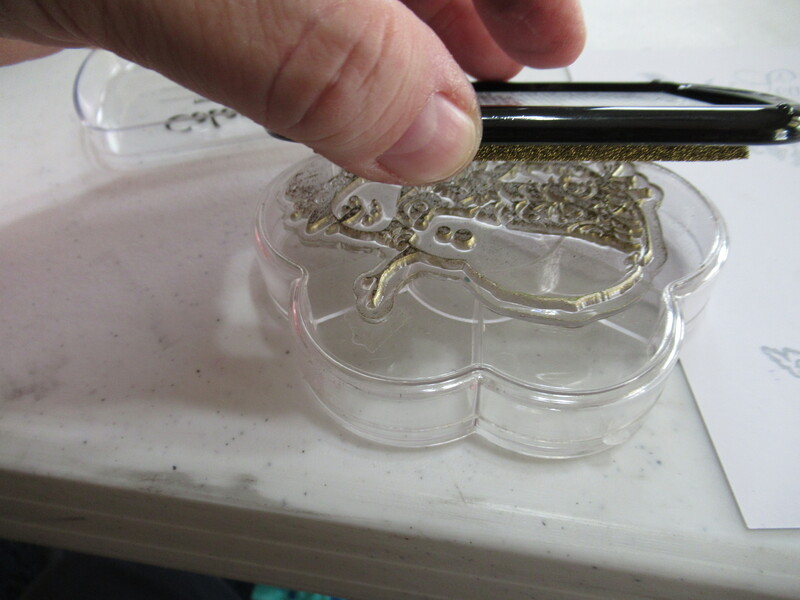 I keep my ink pads in plastic bags sealed and then in one of those plastic shoe boxes with the snap on lid. They are in the house, so never get too hot or too cold and they tend to last a long time. 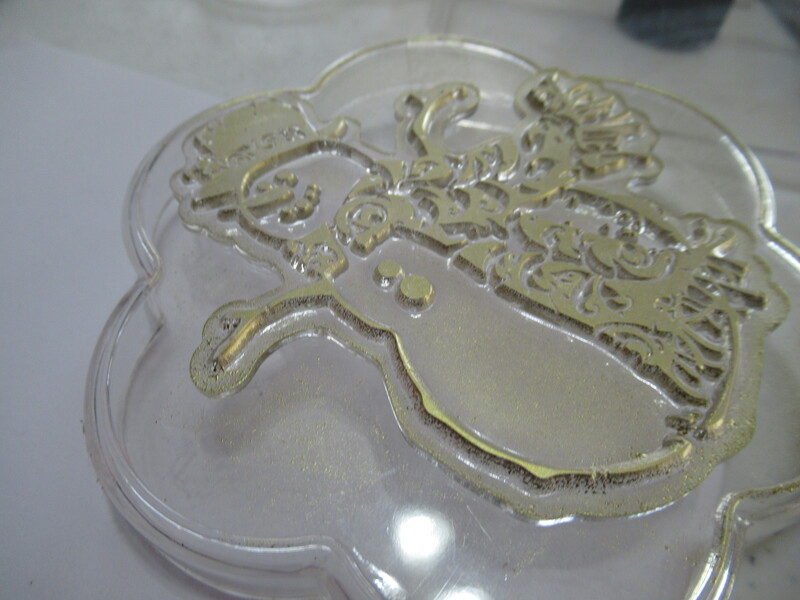 I used them a lot for stamping shapes on felt squares to cut out to make beaded ornaments using cookie cutters. 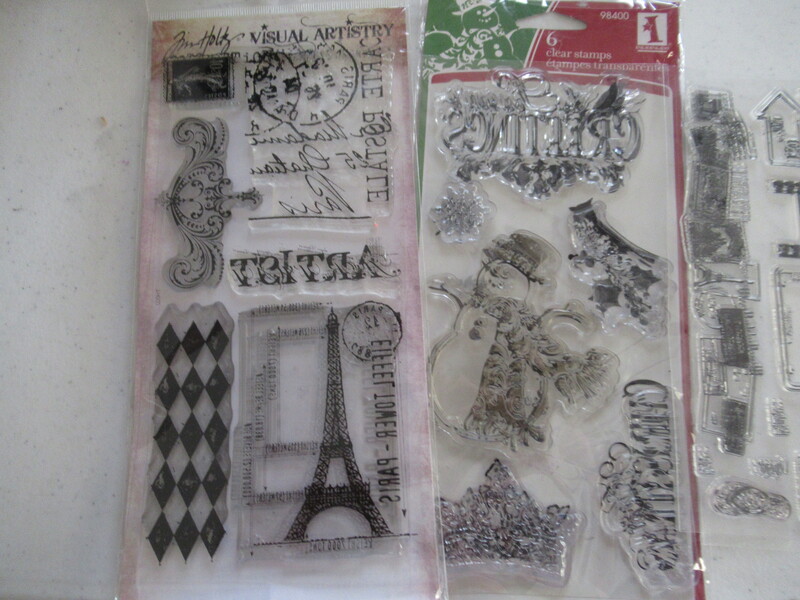 I have hundreds of cookie cutters, I am not exaggerating , and a huge stack of felt. I will do a post on that as well. 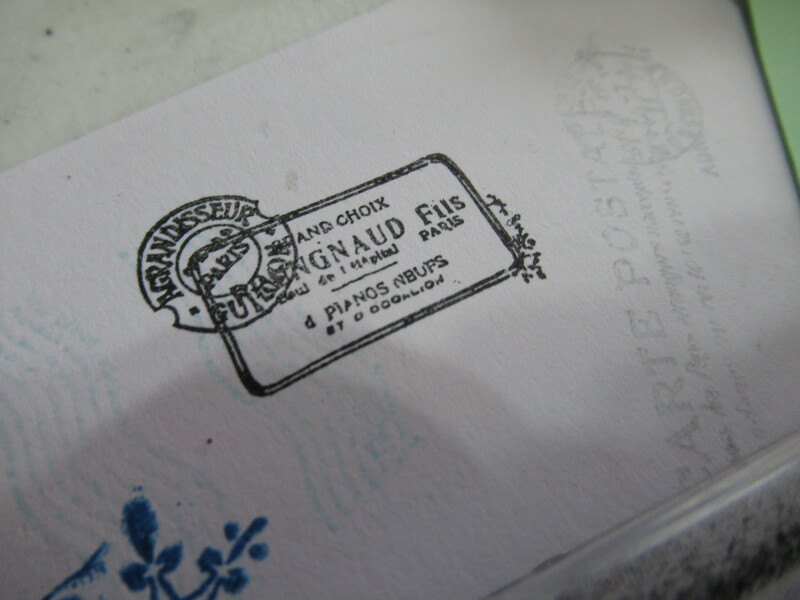 It was a fun experience and I could not be happier with the new stamps. 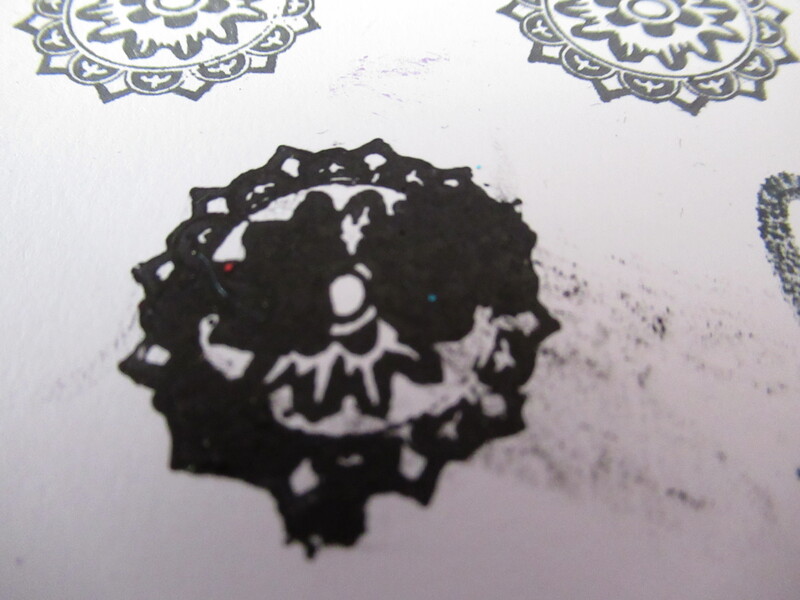 I did find with the cheaper ink pads, they did not get as good of coverage as a normal stamp gets, but otherwise, I am thrilled !! 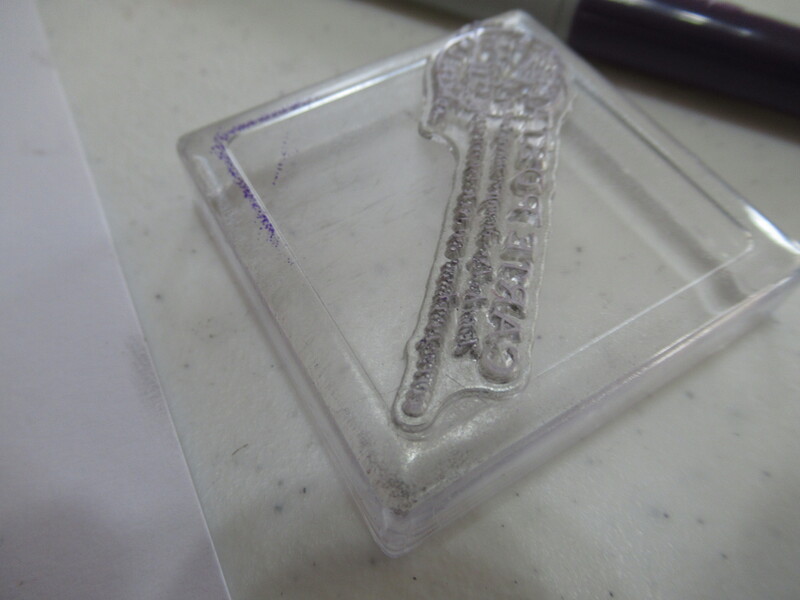 I just have to be sure to use the good quality ink pads with these acrylic stamps. I usually buy good ink pads so it should not be an issue. 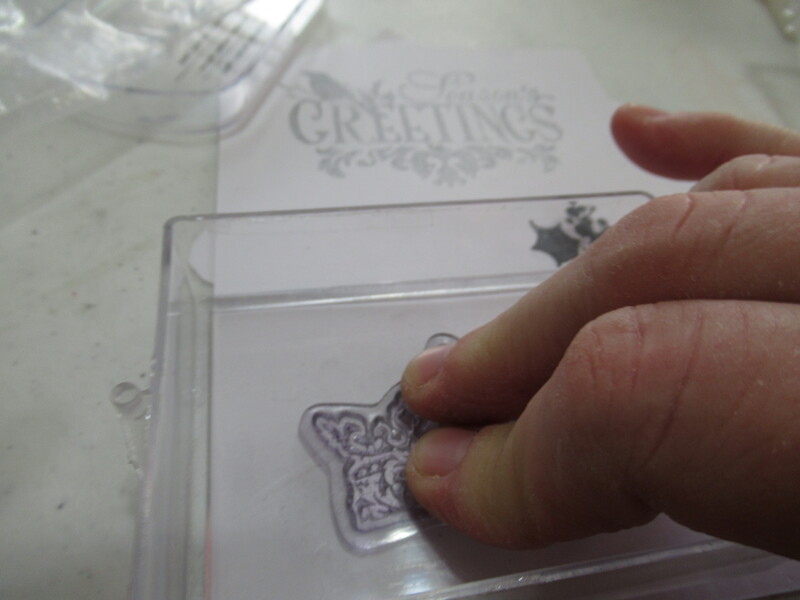 So, that was my fun stamping experience. 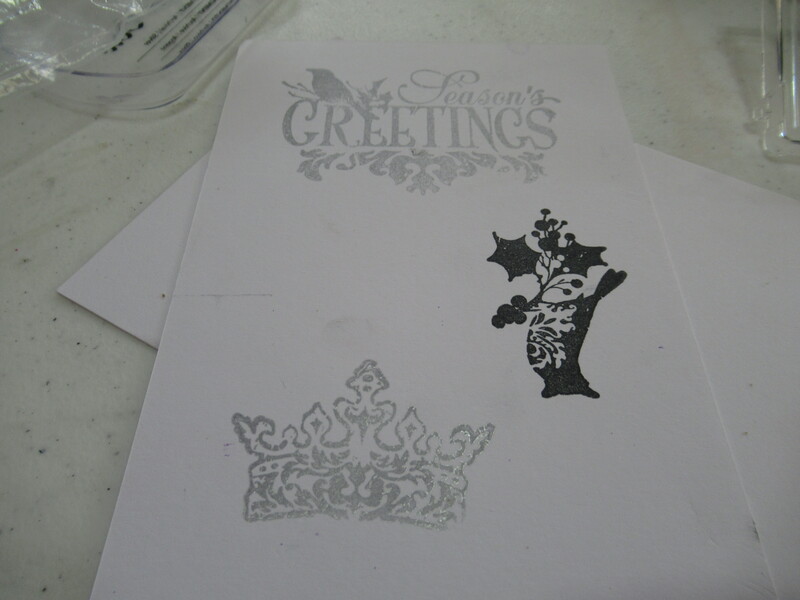 Lot of fun trying out a good many of my new stamps. 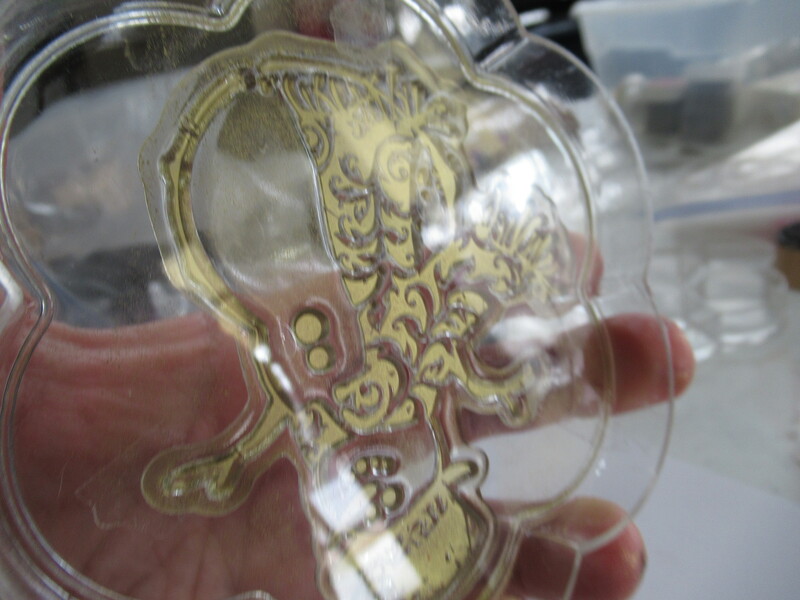 I did not try out the new regular ones, but I cannot wait, they should ve very nice !!! ← Getting through the mess , a new room ! !